Today we decided that the dog word of the day is “crabbing.” What is crabbing and how does it relate to dogs? According to the American Kennel Club’s glossary it’s a dog’s movement with the body kept at an angle to the line of travel. As the word implies, the movement is likely inspired by the way crabs move in a sideways fashion. The term is also used in aviation to refer to the maneuvering action of aircraft when dealing with crosswinds so to compensate for drift. Also known as sidewinding (in this case likely inspired by the movement of the sidewinder rattlesnake), this type of movement is frowned upon in the show ring because it interferes with a dog’s ability to trot in an efficient manner with little effort. In order to better understand crabbing, one must first better understand how a dog trots. When a dog trots, the legs move diagonally in two beats with legs working as a pair. First, two legs diagonal to each other (right front, left rear) are lifted, while the other two are touching the ground, and then, the other opposite two legs diagonal to each other (left front, right rear) are lifted while the other two are on the ground. To trot effectively, it’s important that the legs land without touching each other. To avoid this, the dog must have enough reach in the front to move the front legs out of the way so there’s enough space for the rear to legs to move forward, without the dog risking stepping on himself. In an ideal situation, dogs should be moving in parallel planes. 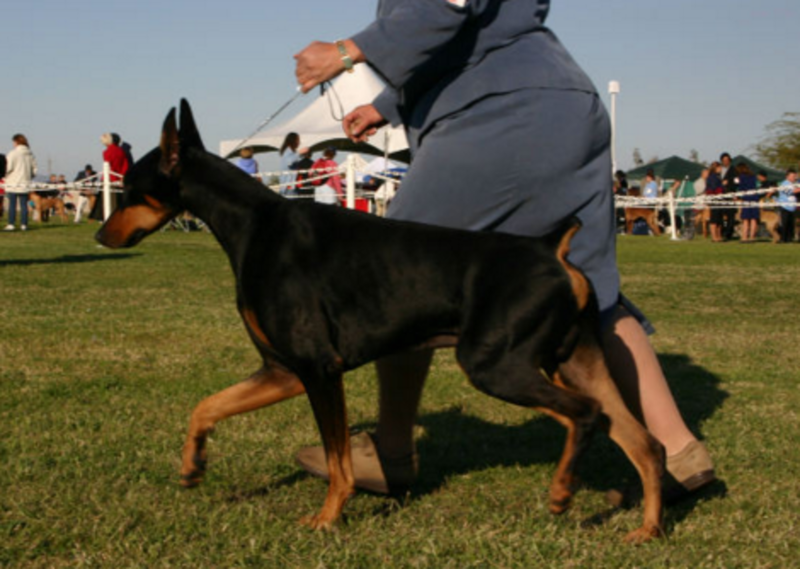 This means that as a judge looks at a dog moving towards him/her, the front leg as it’s lifted should block the view of the rear leg on the same side. 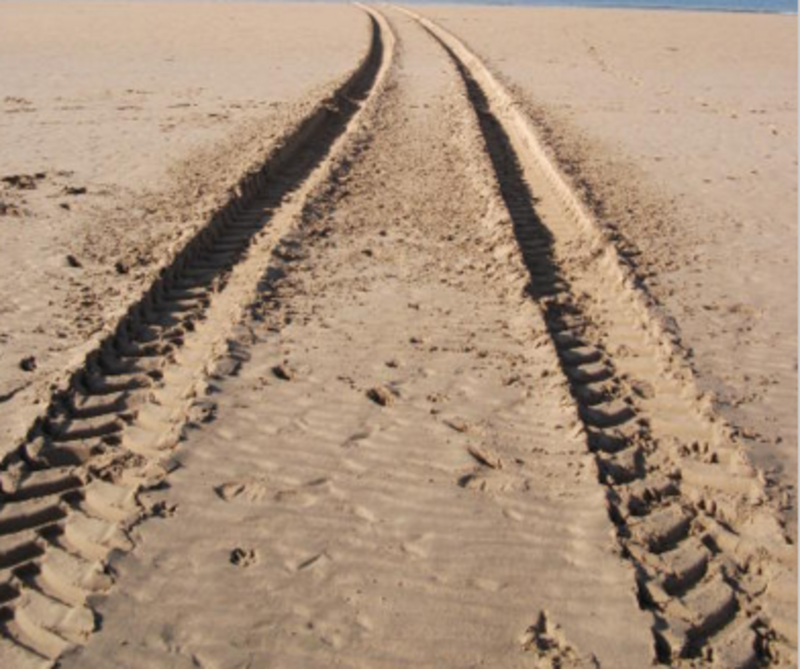 When this happens, it’s said that dog is “moving in the same planes.” In a normal trotting situation, the paw prints of the hind feet follow along the track left by the front feet. When legs end up touching each other, this interference causes the dog to adjust his gait, swinging the rear legs to one side, thus, causing the crabbing gait. 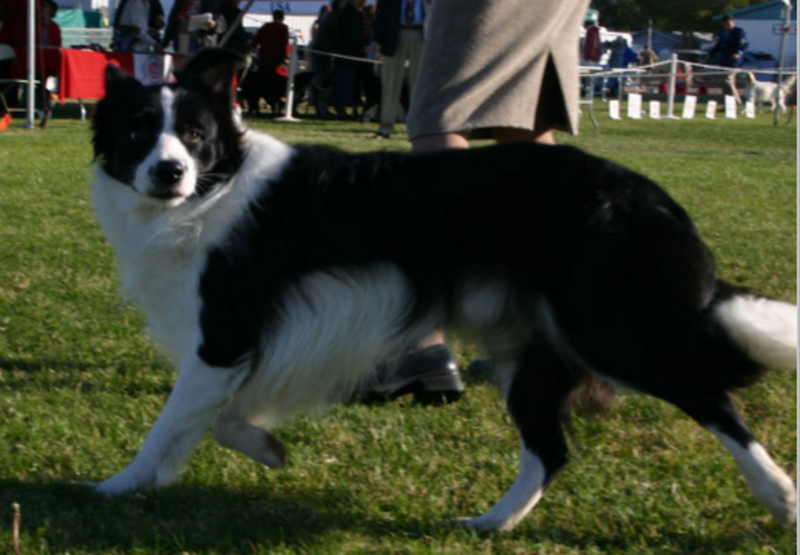 Affected dogs will therefore not move on a parallel plane but in an oblique line, and the judges notice it as the front leg doesn’t block the view of the rear leg on the same side. 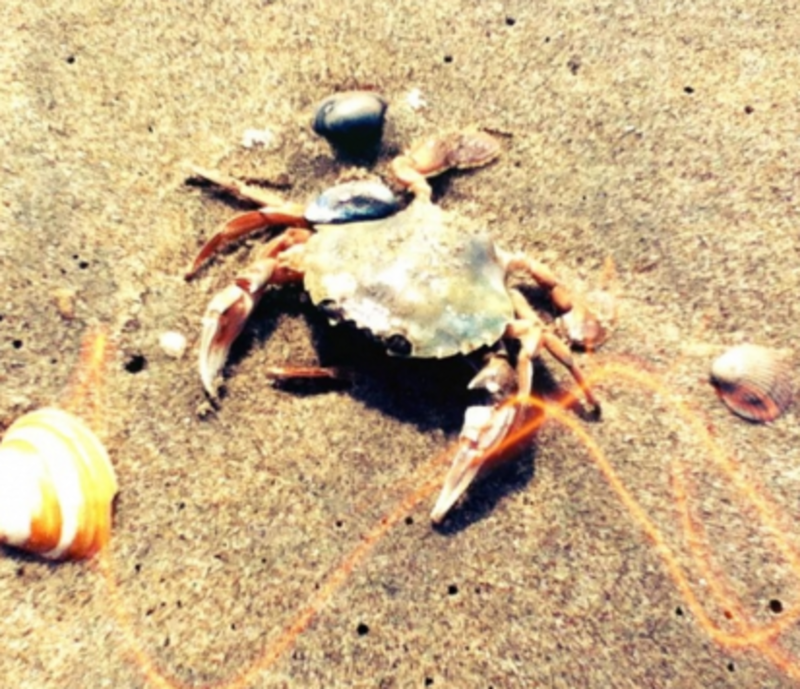 Dogs who are crabbing or sidewinding therefore have difficulty moving in a straight line. What Causes Crabbing in Dogs? It’s often a matter of some structural deficiency or other proportional discrepancy, according to GrendsLori Kennels, a kennel specializing in breeding Great Pyrenees in Michigan. Over or under angulation, short backs, sway backs are a few examples. It can also sometimes be seen in dogs with congenital orthopedic problems, nutritional deficiencies, some type of injury or a neurological disorder (such as lack of proprioception), so it’s worthy to see a vet if your dog is walking sideways or “crabbing” for a thorough assessment. Holistic veterinarian Dr Cathy Alinovi suggests seeking chiropractic care. In the show ring, crabbing is frowned upon because this interference leads to inefficient movement that wastes energy and is tiring to the dog. “Crabbing” may be temporarily seen in young dogs, mostly when they go through the lanky phase of development and their back legs are slightly longer than the front or it can stem from lack of coordination. These youngsters may temporary move in a diagonal fashion to avoid stepping on themselves, but as they further develop, this movement may correct itself with early intervention. If your puppy is running sideways or your dog is crabbing, consult with a vet for an assessment. For dogs who walk crooked only occasionally, it may be worth it to record the behavior as it occurs and show it to a vet. A video is often worth a thousand words! Below is a video of a dog crabbing.